Even though the weather is cold, it’s never too early to start thinking about having fun in the sun. This week, we explore our Virginia Beach: Under the Boardwalk vacation in our final installment of our New Year’s Bucket List Resolutions for the Young at Heart series. 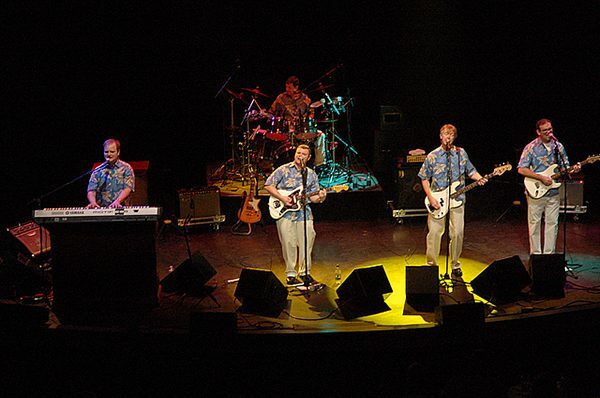 With your New Year’s Bucket List Resolutions in mind, get ready to plan an amazing trip to Virginia Beach and join Starr for this large group celebration with three straight nights of music near the Virginia Beach boardwalk featuring the festive beach songs of the 1950s, 60s and 70s. 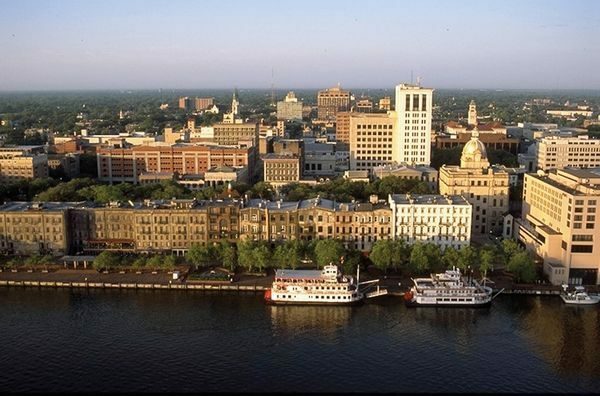 Your vacation by bus begins with a sightseeing tour of the waterfront city of Norfolk, home of the world’s largest naval base. Your bus tour will highlight the port city’s colorful 400-year history as you ride through the historic district. “The history of Greater Norfolk coincides with the birth of our nation, and throughout the region, evidence of this important past can be enjoyed today.” Next up, experience the MacArthur Memorial, a museum and research center which is dedicated and committed to preserve and showcase the life and times of five-star General of the Army, Douglas MacArthur. “In 1961 General MacArthur executed a deed of gift in which he gave the City of Norfolk all his trophies, medals, prizes, decorations, uniforms, flags, swords, battle souvenirs, personal papers, documents, records and other personal memorabilia. The city restored the historic 1850 city hall to house this collection.” The memorial offers an extensive glimpse into our nation’s history through its outstanding collection which traces his life and achievements as well as the story of the millions of American men and women who served in the Armed Forces from the Civil War through the Korean War. Take a look at the past, and feel thankful for our future through this fascinating look back at some of the bravest American men and women. The General and his beloved wife, Jean, are entombed in the rotunda of the memorial. You’ll enjoy some free time on your own to have lunch in the Waterside District, Norfolk’s premier dining and entertainment district where you can dine, shop and gaze out at the beautiful water, before visiting Nauticus, an exciting science and technology center exploring the power of the sea and home of the Battleship Wisconsin, one of the largest battleships ever built. Before returning to the hotel, we’ll stop by Doumar’s, a leader in the world of ice cream since 1907 and home of the first ice cream cone machine. Doumar’s has always made homemade waffle cones, and they even use the same recipe and machine that Abe Doumar made in 1907! Bridge the past and the present as you take a lick of a delicious and historic treat. 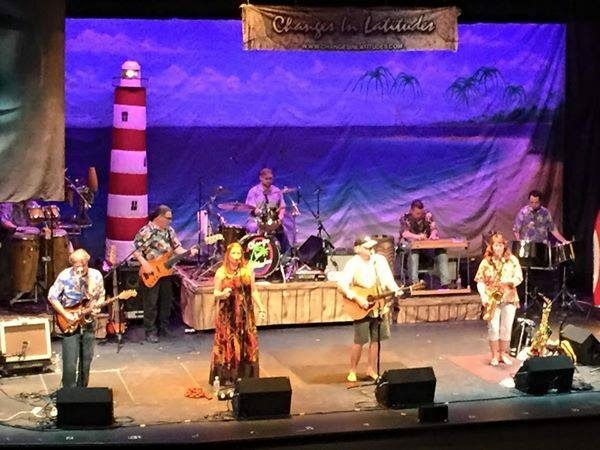 Tonight, don your flip flops and brightly colored Aloha shirts for an “Evening in Margaritaville,” filled with live music, dancing, and a Caribbean-style meal as you kick up your feet with one of the best Jimmy Buffet Tribute bands in America, Changes in Latitudes. You’ll love this festive themed party, with a show band, a shag dance floor, and a cash bar with margaritas! The fun doesn’t stop there. Rise and shine the next morning for a sightseeing tour of Virginia Beach showing us beautiful views of the Atlantic Ocean as we learn all about this resort city. Next, we’ll fly back to the past and explore the Military Aviation Museum. This fabulous museum holds one of the world’s largest private collections of World War I and World War II era military aircraft. Each of them are restored in beautiful condition, and they look like they could fly away at any moment. In fact, many of them can, as most of the planes are air worthy, and are flown in demonstrations and air shows throughout the year. 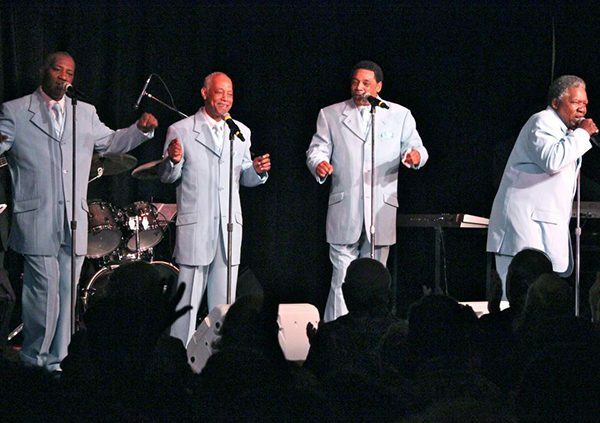 Later this evening, get ready for a concert by Charlie Thomas’ Drifters! The men in this vocal group are members of The Rock n’ Roll Hall of Fame, The Vocal Group Hall of Fame and The Songwriters Hall of Fame; they also have 13 Billboard Hot 100 Hits! Hear songs such as “Under the Boardwalk,” “This Magic Moment,” “Save the Last Dance for Me,” “Stand By Me,” and “Fools Fall in Love.” This is a big musical concert on a full theatrical stage with Broadway quality sound and lights so get ready for a fantastic night! Treat yourself to a relaxing and enlightening trip, and achieve your new year’s resolution. Be yourself and find yourself through the sounds and sights of the past. Relax your body through beautiful music, and your mind through enlightening historical landmarks. This trip is a cultural masterpiece, from the music to museums, and is truly a vacation for the senses, and one of the best ways to start off your new year. 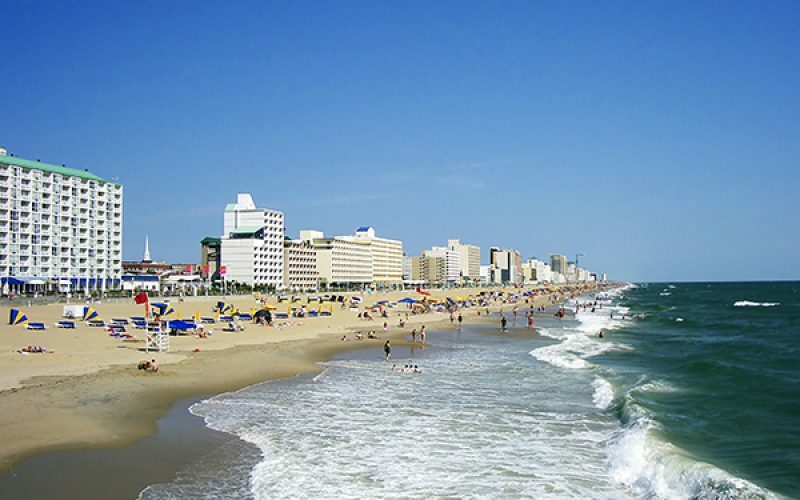 Join us in October for celebration after celebration in beautiful Virginia Beach! We continue our Bucket List Resolutions for the Young at Heart series with our Charming Ports of the South tour. If experiencing the charming south has always been a dream of yours, then this Bucket List destination is for you! Featuring St. Augustine, Jekyll Island, St. Simon’s Island, and beautiful Savannah, this bus tour offers a wonderful taste of some of the south’s most beautiful port cities. After making your way down south on Starr’s comfortable motorcoach with expanded legroom, your experience begins with two overnights on the picturesque and tranquil Jekyll Island. What was once a private retreat for families with names like Rockefeller, Vanderbilt, and Morgan, is now one of the largest preservation projects in the southeast; earning state park status in 1948 from the governor and Georgia state legislature. Discover miles of wide-open beaches and live oaks draped in Spanish moss on a tram tour of the historic district including a tour of two of the many mansion-sized “cottages” that still stand today. 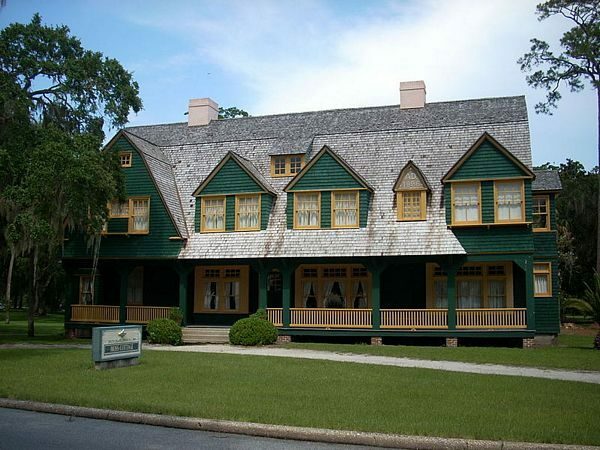 After the tour, you will have an opportunity to visit the museum exhibits and view a video presentation that reveals the fascinating story of Jekyll Island-from its earliest inhabitants, across its fabled Club Era, to its wondrous restoration programs today. This afternoon, you’ll visit St. Simons Island, voted America’s #1 Favorite Beach Town by Travel + Leisure Magazine in 2014. Enjoy a two hour tour that includes a view of Fort Frederica – built in 1736, a stop at Christ Church where John & Charles Wesley held church services and where author Eugenia Price is buried. You’ll also see the fabulous “Avenue of Oaks” on former Retreat Plantation, and enjoy free time at the village as well as a visit to the St. Simons Lighthouse. Full of history and southern hospitality, St. Simons Island has a distinctive charm with an unhurried pace and abundant natural beauty. 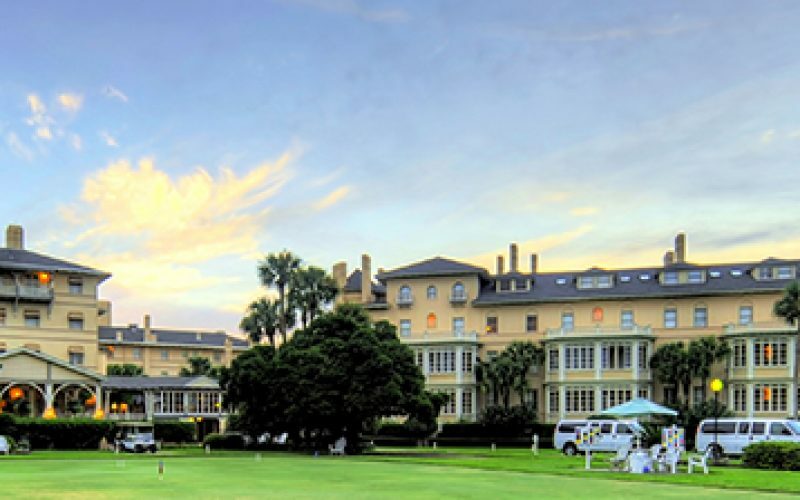 Later this evening, you’ll enjoy dinner at the famed and historic Jekyll Island Club, which opened its doors in 1888 and was once one of the most opulent structures in the south, serving as a centerpiece of the social lives of the nation’s rich and famous. Today, this beautiful resort is still a fabulous destination. The next morning, you’ll board the bus to heard over to the lovely Hofwyl-Broadfield Plantation, representing the history and culture of Georgia’s rice coast. The plantation and its inhabitants were part of the genteel low country society that developed during the antebellum period. During your visit, you’ll view a brief film on the plantation’s history, and then enjoy a guided tour that features the home as the last heir, Ophelia Dent, kept it with family heirlooms, 18th and 19th century furniture, and Cantonese China on display. After your tour, you’ll travel to St. Augustine, Florida – the nation’s oldest city. You’ll have some free time for lunch on own on St. George Street, one of several quaint and walkable streets in the historic district, before checking in to your St. Augustine hotel for two nights. This evening, enjoy dinner and a performance of “The Lives and Wives of Harry Flagler” a theatrical portrayal of the Flagler legacy and the man that brought commerce to St. Augustine. Your next day is filled with fascinating history as you explore St. Augustine on an extensive sightseeing tour by bus that highlights over 430 years of history. Discover the roots of the Timucuan Indians that were native to the North Florida coast and their contributions to the Spanish settlers. Then, embark on a walking tour of the Mission of Nombre de Dios, the landing site of Pedro Menendez, founder of St. Augustine. After, experience more of the history of Harry Flagler on the Legacy Tour of Flagler College, the former Hotel Ponce de Leon that was one of the most exclusive resorts of its day. Last, visit the Lightner Museum featuring one of the finest collections of turn of the century art. Afterwards, quench your thirst at a wine tasting at San Sebastian Winery – tour included! You’ll finish your fun-filled day with dinner at a local restaurant. As you finish your journey back home, memories of beautiful nature scenes, picturesque towns, and fascinating history will make you realize that you have truly been charmed by these wonderful southern ports. 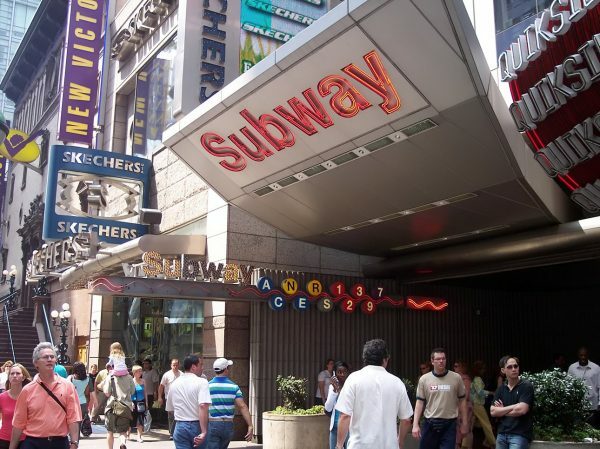 This is a bus tour you won’t want to miss. Click here to join us in October! Last week, we introduced our Kentucky Derby bus trip as part one of our New Year’s Bucket List Resolutions for the Young at Heart. This week’s tour destination is “The Big Easy” – New Orleans! Your October vacation will begin on the road to one of the world’s most exciting cities well known for its nightlife, vibrant live-music scene, and spicy, signature cuisine that reflects its melting pot history of French, Creole, and Cajun cultures. 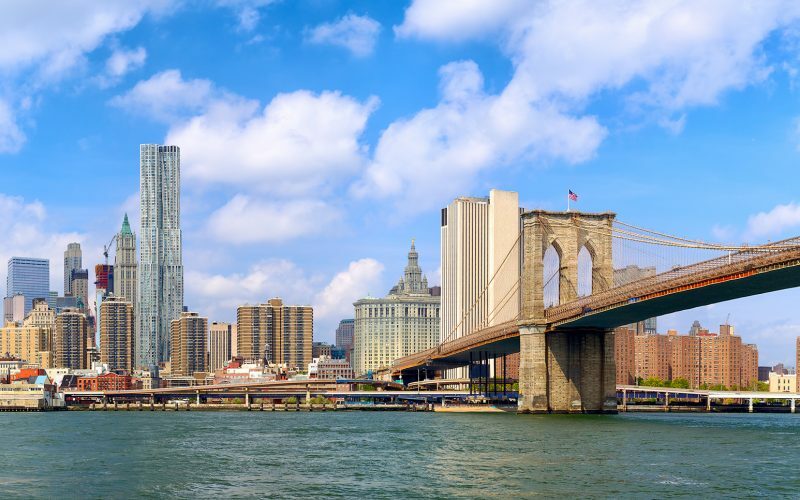 This destination is sure to be unlike any city you’ve ever encountered with its beautifully unique architecture (from Shotgun Houses to Creole Cottages and Raised Center Hall Villas), fascinating history of a city founded by pirates, famous jazz music, and captivating personality. It is nearly impossible to walk down any street in the French Quarter without hearing live music being played either on the street by talented performers, or billowing out of their many bars and jazz clubs. 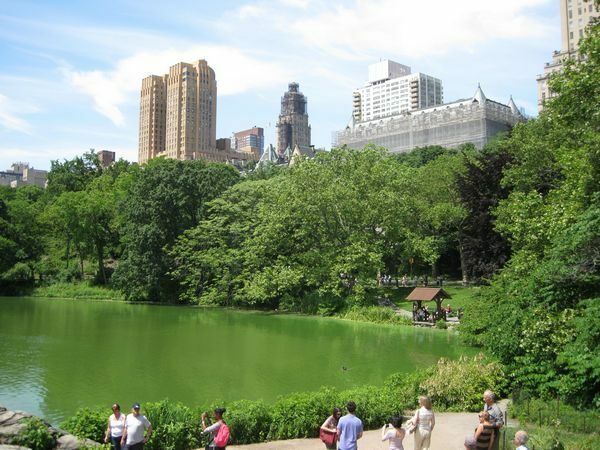 Come fall in love with the character and passion of this lovely city! 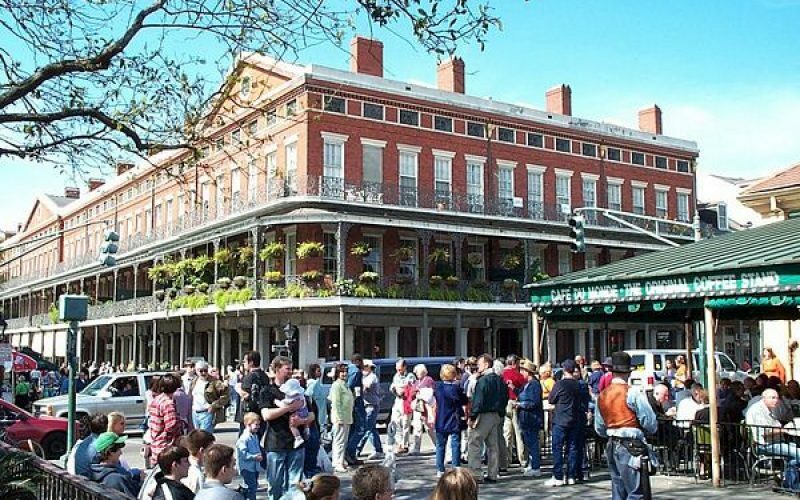 Your hotel is conveniently located right in the French Quarter, a walkable series of streets filled with restaurants, music clubs, art galleries, unique shops, and plenty to see and do. On your first full day in The Big Easy, you’ll enjoy a guided sightseeing tour of the fascinating French Quarter, and the beautiful Garden District filled with stately mansions, some of which belong to famous movie stars! Of course, no trip to New Orleans is complete without experiencing some of the mardi gras magic for which the city is famous. Your vacation includes a visit to Mardi Gras World where you’ll learn all about this festive tradition, see former floats and decorations and get a sneak peek at the studio where the floats for the next Mardi Gras are being created. Photo opportunities abound! 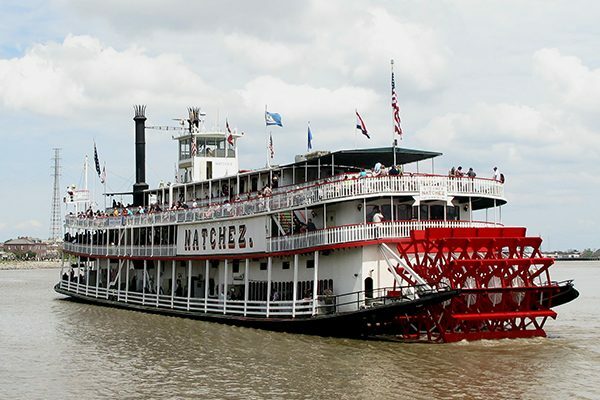 This evening, the New Orleans fun and tradition continues with a special dinner cruise aboard the Steamboat Natchez! Experience the lively sounds of one of New Orleans’ best (Grammy-nominated) live jazz bands while enjoying a lavish buffet as the sweet Mississippi River breezes and the city skyline slips by. Don’t forget to bring your camera to capture breathtaking views of the city from the water and be sure to visit their museum quality engine room. The following morning you’ll enjoy a live jazz brunch in the French Quarter courtyard of the award-winning The Court of Two Sisters. Once you’re all fueled up and ready to go, you’ll pay a visit to the National World War II Museum, a top-rated New Orleans attraction and the #1 thing to do in New Orleans according to TripAdvisor.com. “Offering a compelling blend of sweeping narrative and poignant personal detail, The National WWII Museum features immersive exhibits, multimedia experiences, and an expansive collection of artifacts and first-person oral histories, taking visitors inside the story of the war that changed the world.” The rest of your day is on own to explore all that the city has to offer. 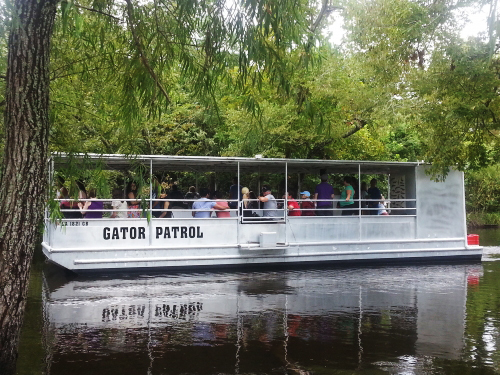 On your final day in New Orleans, you’ll leave the city for an epic adventure into a privately owned wildlife refuge for an authentic Louisiana swamp eco-tour where you’ll learn about the early days of Louisiana bayou and swamp explorations and have plenty of opportunities to view the unique flora and fauna as well as the abundant wildlife, including the American Alligator! You don’t want to forget your camera for this one! Your native Cajun Captain is chock full of knowledge and humor, making this excursion a wonderful, outside-the-norm, experience. Upon our return to land, we’ll head out to Oak Alley Plantation. 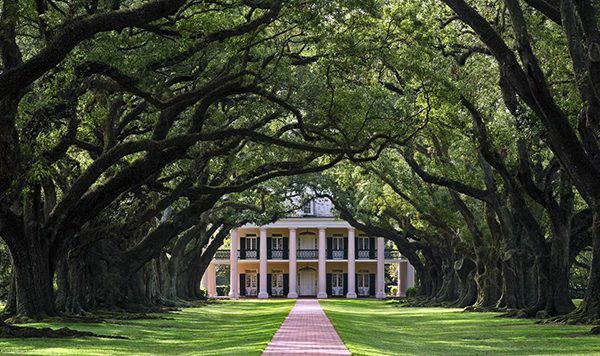 View the beautiful canopy of giant oak trees lining the impressive avenue leading to the classic Greek-revival style antebellum home. Later, you’ll visit the New Orleans School of Cooking to learn about the wonderful food and rich culture of New Orleans and Louisiana from Creole and Cajun experts who teach New Orleans’ specialty dishes and season them with history, trivia, and folklore. As you make your way home on a comfortable Starr bus, you’ll be reflecting on all of the fantastic sights and experiences you’re taking with you – memories to truly last a lifetime! So, join us in October for this truly remarkable vacation!